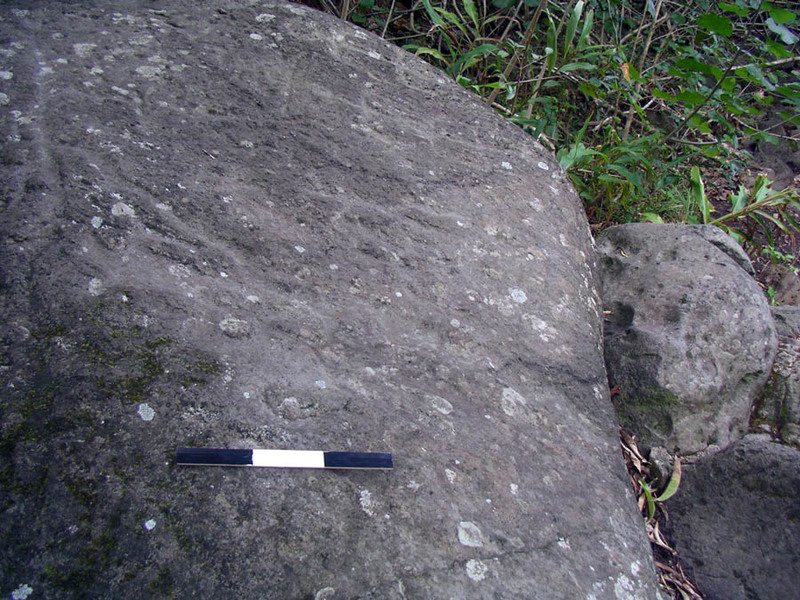 The Pohakuluahine Rock Art Site is mentioned in Hawaiian Petroglyphs (Cox 1970: 10, 97). 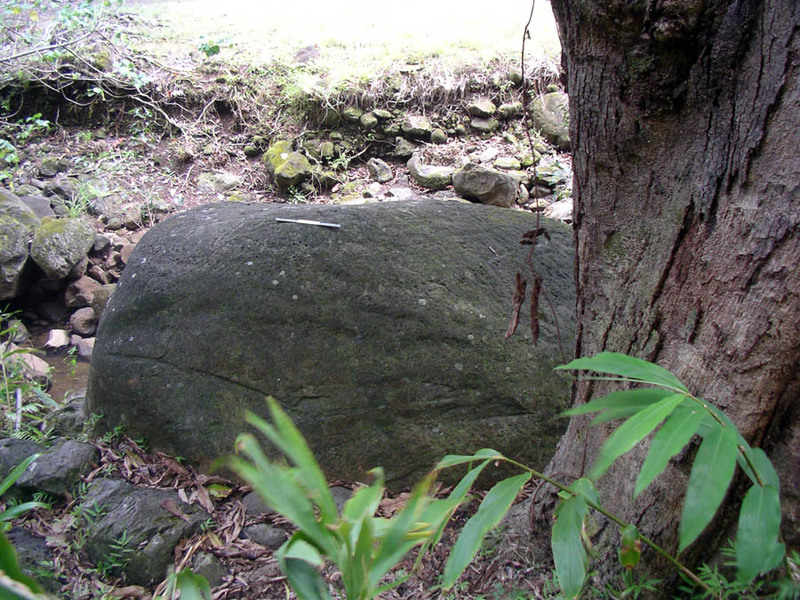 The Moanalua stream flows at the foot of the boulder. Cox (1970:97) reports that the area of the site is called Kahalelauki. 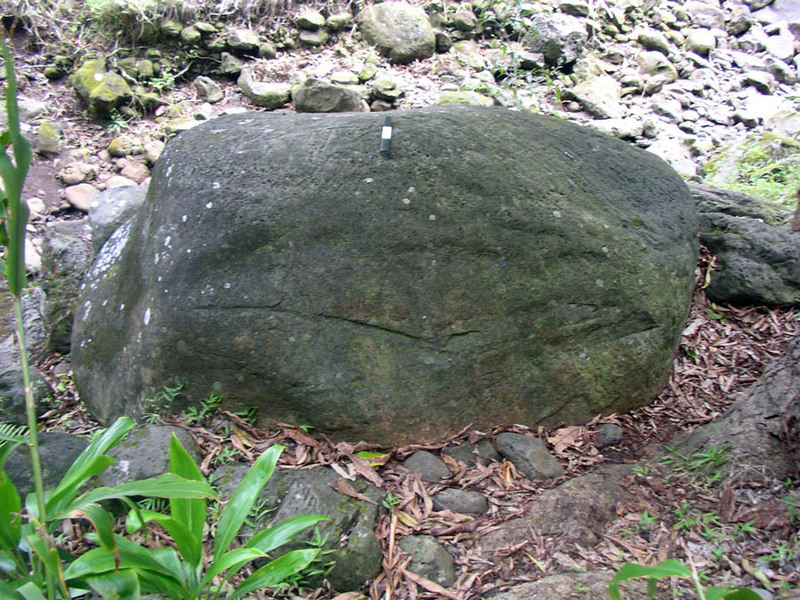 Photograph of the boulder with a 30 cm scale (3 segments of 10 cm). 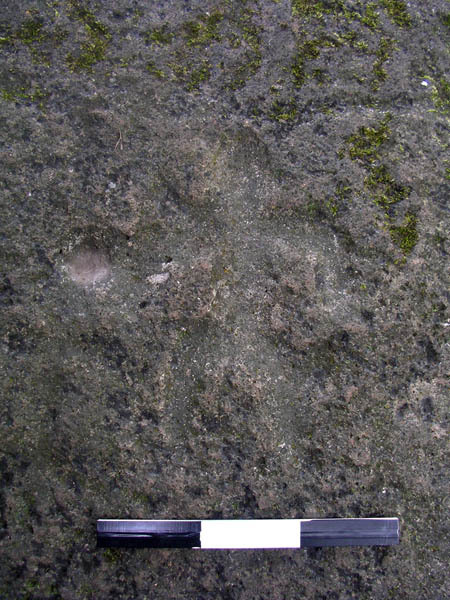 This site was first reported in 1907 (Cox 1970:97). Three bent leg figures. Two figures are superimposed on the left side of the photograph. 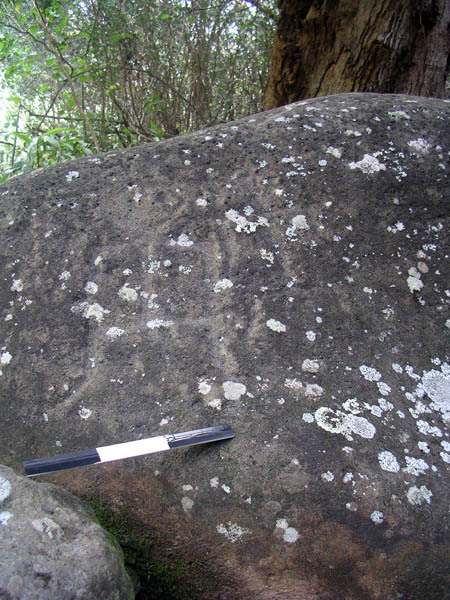 Cox noted that the boulder is decorated with human figures and papamu (meander lines). The meandering pattern is very weathered. 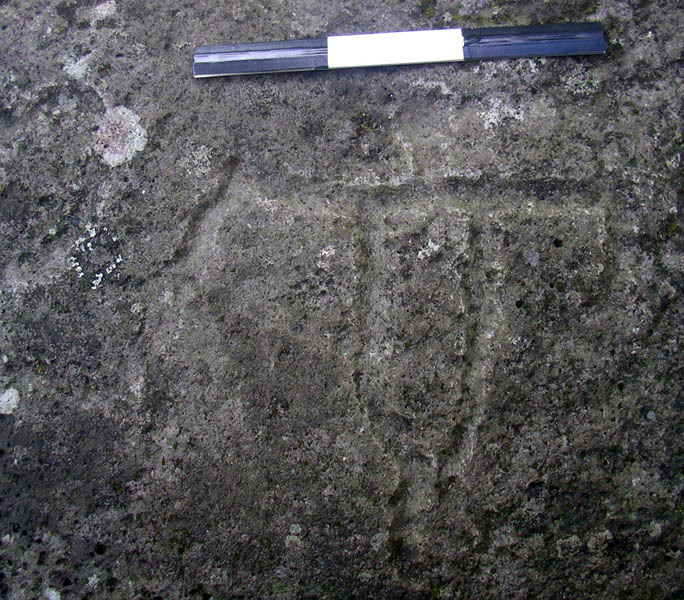 Most prominent petroglyph on the boulder. 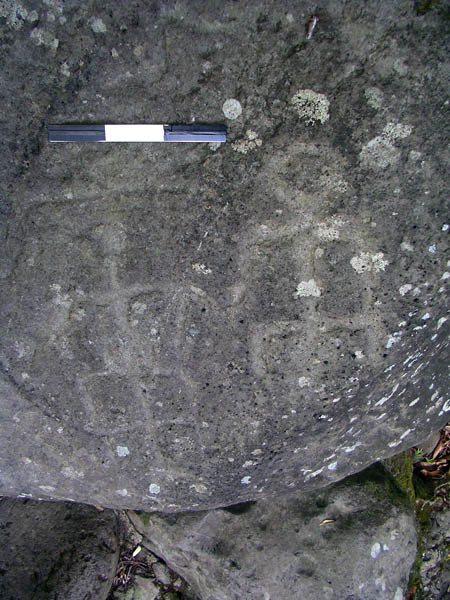 1970 Hawaiian Petroglyphs. Bishop Museum Press, Honolulu.